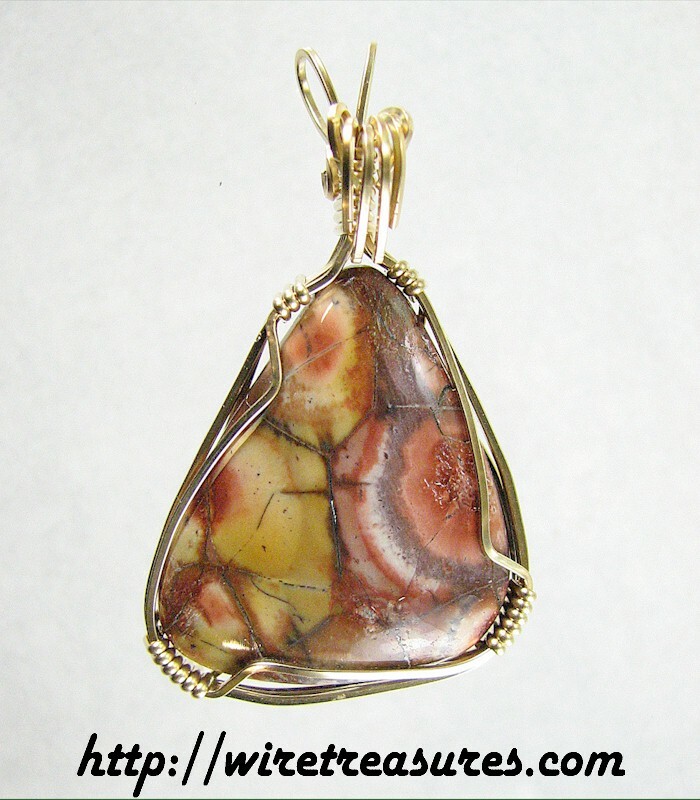 Here's a freeform-cut Mushroom Jasper cabochon wrapped in color-coordinated 14 Karat Gold Filled wire! I don't see much of this material any more, so finding and wrapping this one was a treat for me! You are visitor number 1,651 to this page.